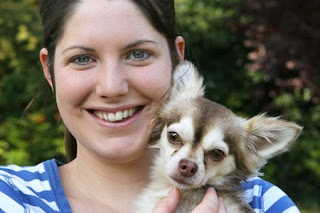 Olivia Wilkes was heartbroken when her tiny Chihuahua, Bailey, went missing on a walk after he took off in pursuit of a fox. Two weeks of searching, putting up posters, handing out leaflets and setting up a Facebook group had been fruitless. Then fellow Poole, Dorset resident and local builder Dave Lindsay, who had received a leaflet, happened to hear a dog whimpering while out and about; he followed the sound and discovered teeny Bailey trapped at the bottom of a World War II air raid shelter, some 10 feet down. Despite being a little skinny and subdued, Bailey was rescued just in time and is making a full recovery, safely at home with Mrs. Wilkes, her husband and their two children. If you've lost your dog and need to know what to do next, or want to plan against every eventuality, please see Dogs Trust's website for helpful tips to find your beloved pet.